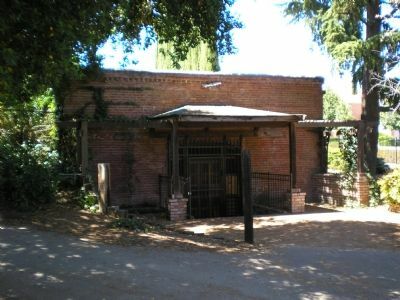 ► California (Santa Clara County), San Jose — George Donner, Jr.
Victoria Shaft (photo right) Named after Queen Victoria, the Victoria Shaft was sunk near the powderhouse in 1890 to prospect the existing Randol workings of the New Almaden Mine. ► California (Santa Clara County), San Jose — Steam Dummies & 25 Cents! 177 markers matched your search criteria.